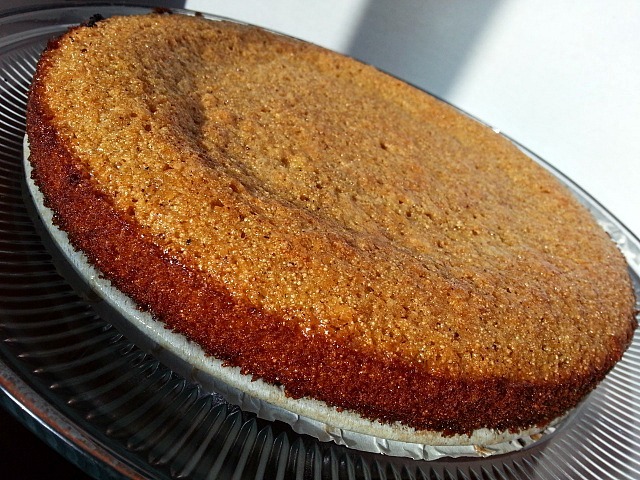 This recipe has many names, Bolo ( “Cake” in Portuguese), Bolo de Rulao (Cream of wheat Cake) and Batica. It’s a poor men cake. This cake is more popular in the villages(town) then the city. 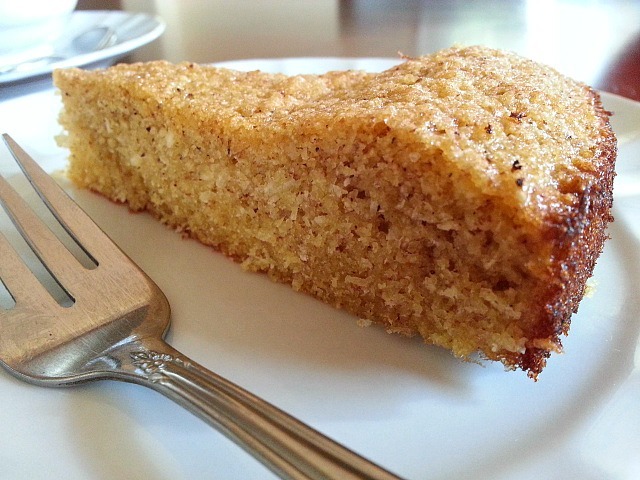 Bolo de Rulao is made during Christmas along with the popular Doce (Garbanzo Coconut Bars), also as a gift from the bride’s household a day before the wedding to the grooms when her personal belongings, gift and the silent word dowry (shhh….) is sent to her future home and when Mother Mary’s statue visits devotees homes from the local church. It is called as Litany(Ladainha), where the rosary is recited as a community, the Litany is sang in Latin and Konkani and then home-made sweets are shared with some local alcohol and soda’s. Goa has the most number of Churches and Chapels then other states in India. I have fond memories of these celebrations growing up. I hope someday when we visit Goa with my kids we will get a chance to experience it one more time. You can watch a video on YouTube to better understand here. Batica has a Corn Bread texture and is a little dry. It is recommended to let the batter stand for 9-10 hours or overnight as the cake will be soft. A lot of online recipes use butter but the authentic version does no need butter. 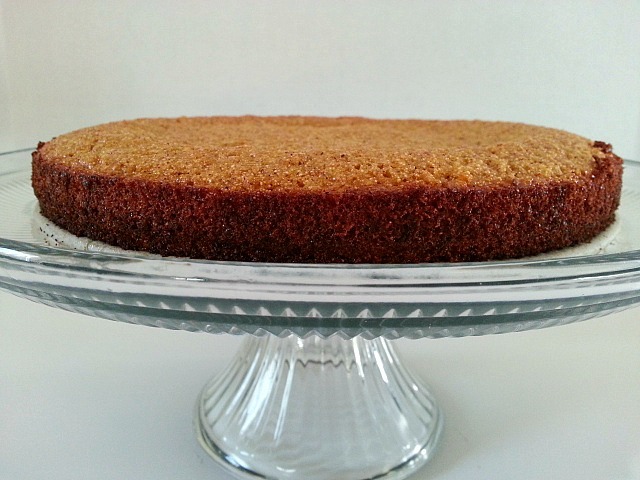 Butter or ghee is used only to line the pan so the cake does not stick. * Toast the cream of wheat/semolina on a non-stick pan for approx 8-9 minutes on medium heat by constantly sauteing to remove the rawness and gives it a nice nutty and toasty texture. Keep aside to cool. * In a mixing bowl whisk sugar, 7 yolks and 1/2 cup of egg white approx a cup, till it mixes well. 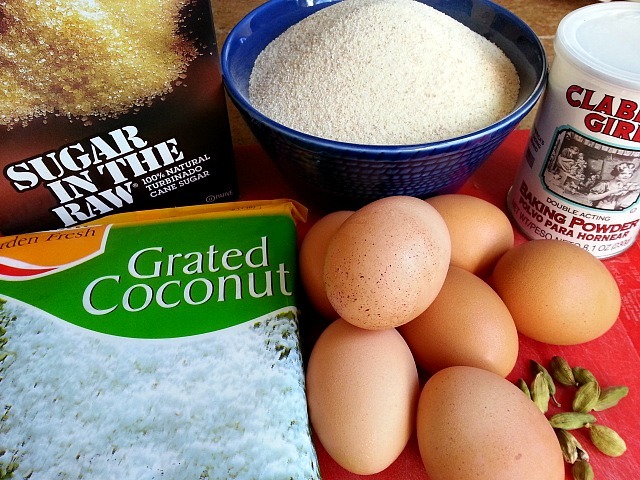 Then add the grated coconut, mix and finally add the toasted cream of wheat. Mix, cover and let it stand for at-least 9-10 hours before you bake it. * Set oven to 375F and add the baking powder, mix well. Pour the mixture in a 9″ cake pan that was lined with butter and bake it for 20-25 minutes till the toothpick comes out clean. 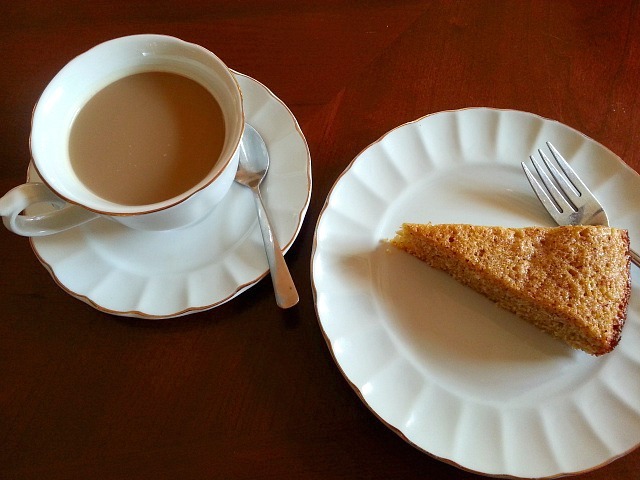 Enjoy it with a nice hot cup of tea. The mix needs to soften before baking, isn’t it? But to be stored in fridge for 9 hours or outside? You are so welcome Natalie. Love the look of this recipe (and site!). Great photos too. All very well done. I look forward to trying this recipe. You sold me right away when I saw the cup of tea with it. Oh, this looks and sounds delicious! You are so welcome Shamim :-). It goes well with Chai. I will have to try this sometime. 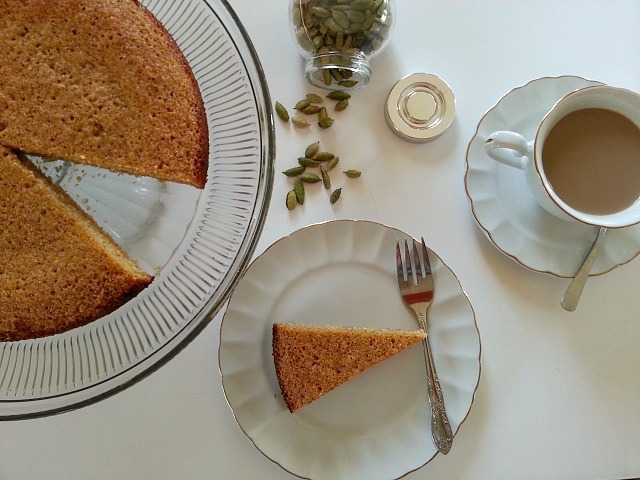 Coconut and cardamom are great together! Simple perfection – simply perfect! This looks really tasty. Thanks for the like on my post, you have a very interesting blog. I must try this. My daughter is nuts about coconut. Sounds delicious. Can’t wait to give this a try!